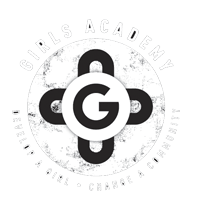 The Girls Academy program, founded in 2004 by Olympian and champion basketballer Ricky Grace (MEdL, BPoLSc), has already helped thousands of Aboriginal and Torres Strait Islander girls overcome barriers which have prevented them from attending and achieving at school. The Girls Academy Program works within the school system to drive community-led solutions aimed at reducing the barriers that prevent Aboriginal and Torres Strait Islander girls from completing their education and reaching their full potential. Academy Girls receive intensive one-on-one mentoring and support from our team of skilled field staff, 80% of which are highly accomplished Indigenous women. Our program increases the skills, employability, mental health and well-being of Indigenous girls throughout Australia – providing them with better opportunities to contribute to the social and economic outcomes of the wider community. Academy girls are ready to make an economic contribution to our nation and to be part of the social change that is Closing the Gap. The Girls Academy equips Indigenous girls with the tools they need to engage in their education, achieve their goals and change their communities.